Tom has been handling firearms for more than 30 years. He started out as many of us did, as a young boy learning to hunt and shoot targets. Having hunted large and small game for more than 30 years, Tom understands the situations that hunters and sportsman run into regarding safety. Nearly 25 years ago, Tom obtained his first Concealed Pistol License and has been carrying a pistol ever since. There are many different situations that those who carry concealed pistols encounter each and every time they are out and about. Most of these situations involve safety and safety in these situations is little understood by most individuals carrying concealed. Tom understands these situations and the safety that is associated with these situations and Tom is ready to impart this knowledge on others. Tom founded MI Firearms ETS in 2001. MI Firearms ETS started as West Michigan Firearms Education. Starting MI Firearms ETS was a venture born out of necessity. Having grown up in a society and an area where guns were common place, and then encountering a changing society and many unsafe acts when on the firing range and in the field, Tom felt that he could help those individuals who wished to enter into the community of gun owners, as well as those who were already a part of the gun community, but had not experienced education or guidance in proven practices which ensured safety while handling firearms. Because of this, Tom sought out training to become certified as a firearms instructor. In addition to being a certified firearms instructor, Tom is also a teacher with a Bachelor’s of Science in Technical Education and has been in the field of education since 1998. Tom has been a Scholastic Clay Target Program (SCTP) coach for school aged kids. In 2006, Tom and his wife Amy started a program for school aged kids to shoot Trap (Clay Targets) and took two teams to the Michigan State Trap Competition, held at the Michigan Trap Association (MTA) facility in Mason, Michigan. Tom also developed the Summer Shooting Sports Camp for Kids, where kids learned about Home Firearms Safety, Shotgun Shooting, and Rifle Shooting. For folks who wish to obtain their Michigan Concealed Pistol License (MCPL) and those who wish to learn more about personal protection, Tom has developed programs like the 3D Protection Series and the SEE Series of Shooting Enhancement Exercises. While developing new and innovative methods of training for defensive shooting, Tom developed the Threat Elimination Series Target System for Law Enforcement, Military, and Concealed Carry Permit Holders. The Threat Elimination Series Target System is the latest innovation in training, which accesses more than just the physical ability to shoot. The use of the Threat Elimination Series Targets accesses the student’s physical and psychological abilities and builds up the student’s ability to shoot defensively under extreme pressure. Tom has also developed his trademarked shooting system, the Fighting Foundation. The Fighting Foundation is a system of shooting, proven for the defensive shooter. The Fighting Foundation incorporates the shooters natural movements and reactions with a balanced approach to grip, trigger squeeze, and sight alignment that utilizes kinesthetics and isometrics. The Fighting Foundation assists new shooters in expediting their ability to shoot and increases the ability of experienced shooters, making them effective defensive shooters, like no other system can. Tom’s experience as a hunter, shooter, and educator, coupled with his innovative abilities, makes him a leader in the field of firearms and personal protection. Tom is also an advocate of freedom. Tom advocates freedom through his involvement in organizations such as the National Rifle Association, local sportsman’s clubs, and others, as well as being a recruiter for the NRA. MI Firearms ETS was founded by its Chief Firearms Instructor, Tom Medendorp in 2001. When Tom founded MI Firearms ETS, it was called West Michigan Firearms Education. Since 2001, MI Firearms ETS (formally West Michigan Firearms Education) has provided educational opportunities for young and old alike. Whether you’re a man or a woman, 7 or 70, MI Firearms ETS has a program for you. With a full complement of educational courses and training opportunities, MI Firearms ETS is the organization that you want to learn from. Education is a process where the student learns and gathers information from the instructor. Training is a process where the student repeats what they have learned, over and over again, developing the skill associated with the learned information. During the training process, the student receives corrective instruction from the instructor or from a partner who watches for deficiencies in the student’s actions related to the learned information. The difference between education and training was defined and developed by MI Firearms ETS’s Chief Firearms Instructor, Tom Medendorp. This developmental concept rings true through all ventures which require physical mastery of a learned concept. For this reason, MI Firearms ETS has educational and training courses and opportunities for students of all ages and levels of experience. Throughout the history of MI Firearms ETS, Tom has continually evaluated, improved, and adjusted instruction to remain a forerunner in the firearms education and training industry. Through frequent and on-going education, training, and certification, Tom has been able to enhance the instruction received at MI Firearms ETS. As a certified teacher in the State of Michigan, with a Bachelor’s of Science in Technical Education, Tom is highly qualified and experienced. He is able to tailor his instruction to meet the needs of each class and individual class member. 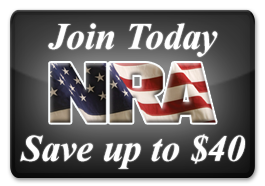 Through careful consideration of the facts and diligent study of the associated concepts, Tom has developed comprehensive educational courses and training opportunities for American citizens who wish to enjoy the freedoms afforded to all men; firearms ownership, usage, and enjoyment. Through these studies of concepts and facts, Tom developed a target system designed specifically for law enforcement and military use and adapted packages for individuals interested in concealed carry and defensive shooting. 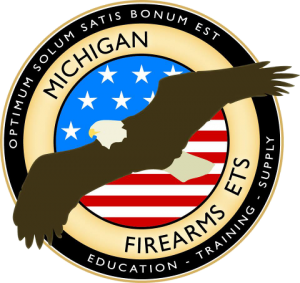 The development of this target system prompted the name change from West Michigan Firearms Education to MI Firearms ETS (Education – Training – Supply). Since 2001, MI Firearms ETS has gone through a careful development of increasing its offerings to individuals and organizations who utilize firearms for the purposes of sport, hunting, and protection within a citizenry of freedom.